In tobacco leaves, nicotine is present in two distinct forms: diprotonated and monoprotonated. What this means is that the nicotine bonds with certain acids in the plant to create a much more stable molecule. When that bonding happens, the result is a nicotine salt. There are different types of nicotine salts, depending on the acid involved in the whole process (citric, malic, lactic, and so on). However, none of these salts are present in traditional cigarettes or regular vape juice, which begs the question: how do we get regular nicotine? 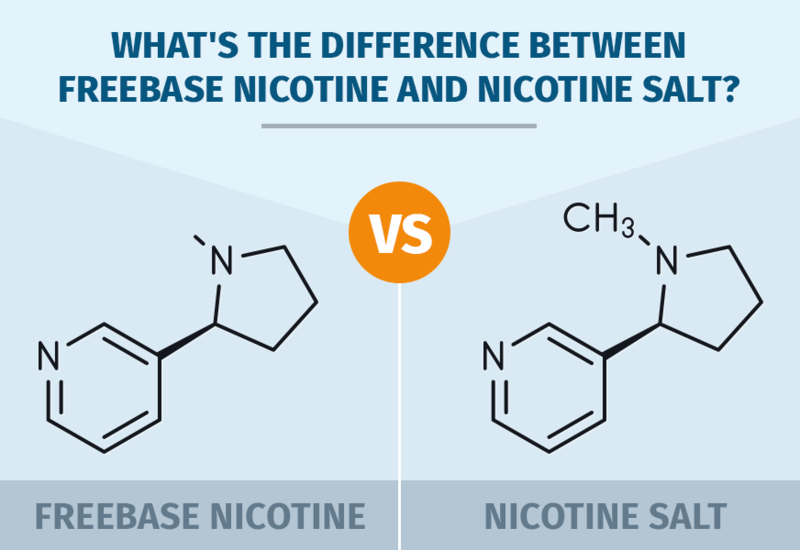 The Difference Between Freebase Nicotine and Nic Salts? Regular, or freebase nicotine, was invented by the tobacco companies back in the 1960s, and it’s completely unprotonated. In fact, it was Phillip Morris that spearheaded the research in this area in order to make cigarettes stronger and more addictive. By adding ammonia to the mix, PM ensured an increased potency of their tobacco blends If you’ve ever asked yourself where does the nicotine in an e-liquid come from, there’s your answer – effectively, the whole vaping industry is capitalizing on the discoveries made decades ago by Big Tobacco. But, why go through all that trouble? Nicotine salts, while stable and available organically, are not extremely bioavailable. What this means is that they are not absorbed by the human body as readily, and their addictive properties can’t compare with those of freebase nicotine. Today, the nicotine that’s found is cigarette smoke is 100% freebase, stripped of all its protons, and that increases its bioavailability dramatically. This type of nicotine is also more lipid soluble, which means that it crosses the blood-brain barrier quite easily, triggering a dopamine release more effectively than nicotine salts normally would. So, in a nutshell, while nic salts are organic and readily available, they just weren’t addictive enough, so the tobacco industry spent millions of dollars ‘improving’ the formula in order to hook more unsuspecting smokers. If that’s the case, how come nicotine salts are coming back? Do vape juice manufacturers know something that slipped by Phillip Morris’ vast research team? The study that сonducted on the difference between nic salts and protonated nicotine in aerosol and how it can affect somebody. It is a very dry and academic way to say that more studies are needed basically. Why Are Nicotine Salts Gaining Momentum Again? This new nic salt craze started way back in 2015 when PAX (manufacturer of JUUL pod vaping system) patented a new formula to use in their JUUL pods. Since PAX was marketing mostly to people looking to quit smoking, they were faced with a problem. 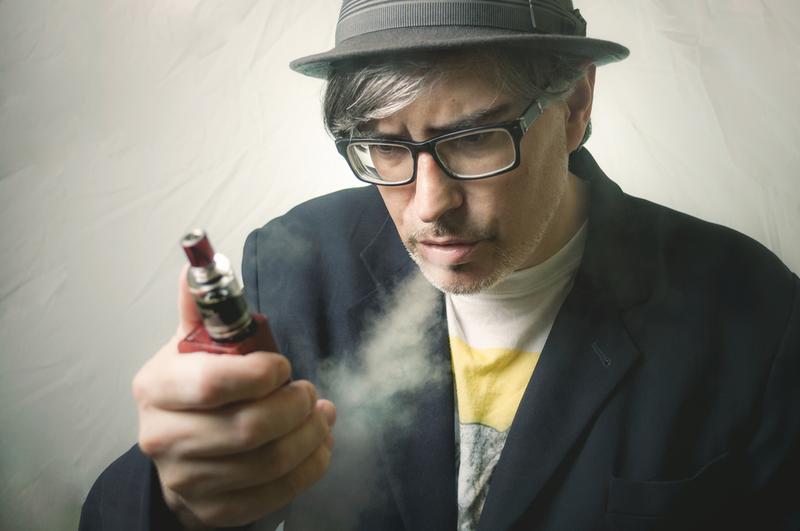 Traditional vaping is similar to smoking, but it’s not exactly like lighting up a cigarette. The feel is not the same and, more importantly, the amount of nicotine that gets delivered also falls short of that of combustible cigarettes. Most regular vape juices are available in different nicotine strengths, but you will rarely find anything that goes over 24 mg. That’s because freebase nicotine is acidic, and therefore harsh on the throat. Because of that, it would be almost impossible to vape a 50 mg nic vape juice on a vape device that delivers a decent amount of vapor. Still, new JUUL salts pods boasted around 59 mg of nicotine, while providing an almost smooth vaping experience. In addition to that, nicotine salts in these pods were as bioavailable as freebase nicotine found in combustible cigarettes. How is that possible? The answer lies in the type of acid that PAX used to create their particular nic salt. We’ve already mentioned that different acids can be bonded to nicotine and that the result will be a bit different with each one of those. 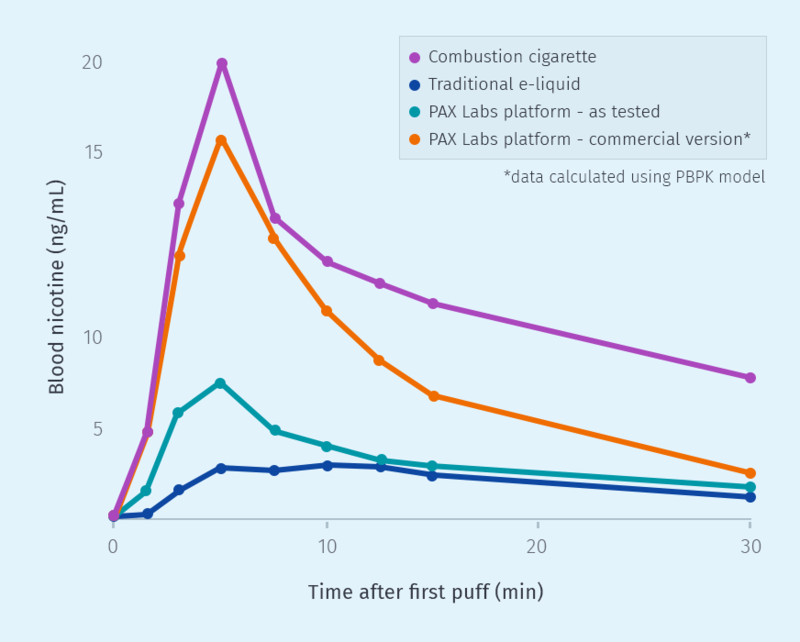 PAX used benzoic acid to create their patented nic salt and tested it exhaustively to find out if it can rival the bioavailability of freebase nicotine. Their research confirmed that that particular formulation worked great – maximum concentration of nicotine in blood plasma and the time needed to achieve it were both comparable to combustible cigarettes. Although PAX was to create a stable nic salt that can be absorbed readily, their solution had one additional interesting side-effect. The addition of benzoic acid lowered the pH value of the vapor, resulting in a much smoother vape. Essentially, PAX shot down two birds with a single stone, creating one of the strongest e-liquids that can be enjoyed without suffering cough fits. Which Devices To Use When Vaping Nicotine Salts? Nic salts were created for a specific purpose – a strong nicotine hit from small, portable devices. Pod systems, such as the JUUL, work great for them. That said, you definitely don’t have to be a JUUL owner to use them. Any lower-power device and tank setup will do the trick, so if you own a vape pen and an old M2L tank, you can now put them to good use. Owners of high-powered vape devices (aren’t we all at this point?) shouldn’t despair, though. While vaping JUUL-type nicotine salts with your Alien 220 and a sub-ohm tank is not advisable, this doesn’t mean that the process can’t be hacked a bit. You can easily buy or make a lower concentration nicotine salt (around 18 mg) and enjoy a reasonably smooth vaping experience and decent clouds, all thanks to the fact that nic salts deliver less of a throat hit than regular vape juices. Are Nicotine Salts Bad For You? The persistent mainstream hysteria around vaping has taken its toll even on us, so it’s only natural that we’re all wondering are nic salts safe at this point. The truth is, they are as safe as freebase nicotine (which is relatively safe, if we don’t account for its addictive properties), so, from a pure health and well-being oriented standpoint, there’s no extra reason for concern. 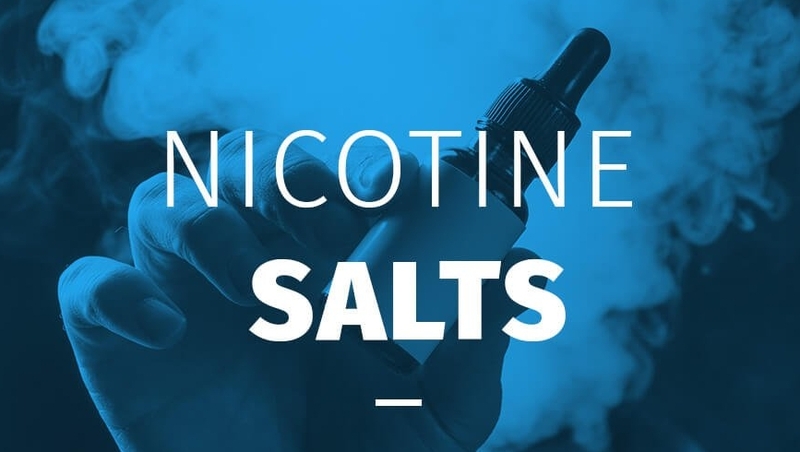 Nic salts are potentially more addictive – just by virtue of higher concentration, these salts might be more addictive than regular vape juice. That’s because they lead to higher nicotine blood content in a shorter amount of time, triggering neurochemical reactions faster. 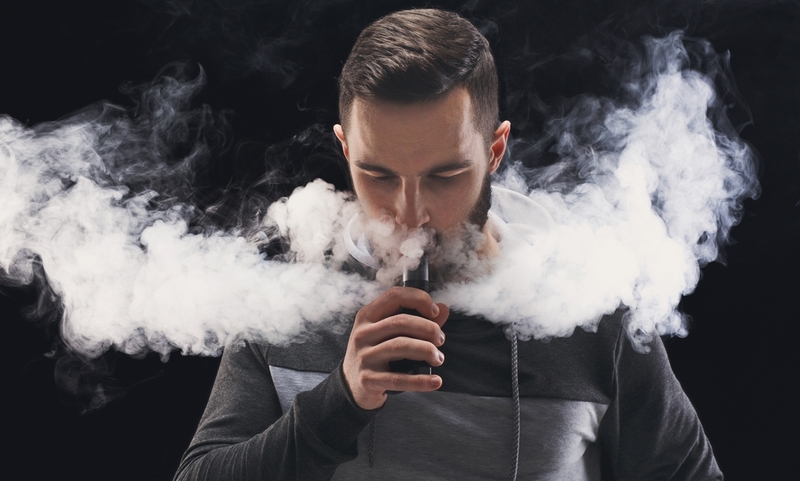 Effects of benzoic acid still under investigation – although arguably not extremely toxic to humans, benzoic acid (used to create smooth nic salt vape juices) might still be a reason for concern. Some studies suggest that it can trigger coughing, while others state that it can cause pseudoallergic reactions. As of now, we have no data on inhalation exposure, which something we hope will change in the near future. Perceived harmfulness of nic salts – as always, the media might use this opportunity to pounce on vaping once again, arguing that the manufacturers are ‘spiking’ vape juice to make it more addictive (spins of this sort are not all that uncommon for our industry). With the FDA’s recent announcement about reducing nicotine content in analog cigarettes, this scenario is not totally unimaginable. Shifting away from vaping being possibly harmful, the FDA is now focusing on the effects of nicotine addiction and what can be done about it. Aside from the benzoic acid, there is nothing inherently more addictive about nicotine salts. We do expect with the recent shirt from the FDA that we will be hearing more said about the effects of nicotine salts and addiction to them. More studies are surely needed, but only time will tell if the government decides a crackdown on nic salts will happen. Who Should Consider Using Nicotine Salts? As always, it’s tempting to jump on every new fad that sweeps across the vaping industry. However, nic salts will not be everyone’s cup of tea and, in any case, they were created for a specific target group. A transitioning smoker looking for strongest e-liquids, and if regular vape juice is just not cutting it for you. A seasoned vaper who’s looking for a smoother experience on your sub-ohm tank (just remember to use lower concentration nic salts, up to 18 mg). A price-conscious DIYer and you want to get more bang for your buck. A stealth vaper who uses a small device and wants discreet hits that won’t envelop the whole room in clouds. Noticeably absent from this list are cloud-chasers. Extreme power vaping shouldn’t be attempted with nic salts. Although the feel is smoother than with regular vape juice, the combination of excessive power and high nic content can result in really bad throat hits, as well as nicotine poisoning. Even nicotine poisoning is not really much of a threat with nicotine salts. Even in the most potent e-juices, there is not nearly enough to cause poisoning. As the article from Wikipedia states, it takes between 500mg and 1,000mg to induce poisoning. That would take a minimum of vaping 10 Juul pods back to back to become poisoned, but probably closer to 15 to 20 would be necessary. Could that actually happen? Sure, but it is not very likely. Where To Buy Nicotine Salt E-Liquids? 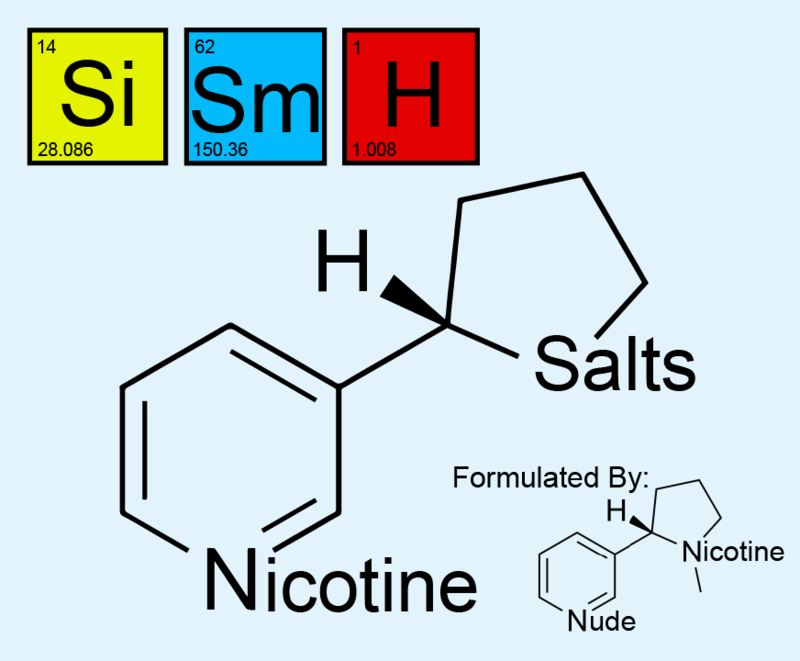 Considering that nic salts are still a relatively new addition to the vaping world, they are not easy to come by. Most vape shops near you won’t stock them (but that is changing rapidly as the demand grows), so you will have to search online to get your fix. Here’s a short list of companies that sell nic salts – by no means comprehensive, but still a good start. CRFT – at the time of writing this post, CRFT has 9 different nic salt vape juices available, mostly in the fruity flavor department. All blends are 40 mg strong and ready to vape. Dr. Salt E-Liquids – a US-based manufacturer that specializes in nic salts. With 14 different blends available, ranging from fruits to custards and desserts, Dr. Salt has something for even the pickiest of vapers. Juices are available in 25 and 45 mg/mL nicotine levels. Airship Nicsalt – if you’re looking for plenty of choices, this is the right place. With over 30 flavors available in 5 different nicotine strengths, Airship Nicsalt is bound to have your favorite ADV somewhere in there. Bombies – this established e-juice manufacturer recently unveiled theirs After Dark nic salt line that features 8 distinct flavors. They are available in 15 and 30 mg/mL nicotine levels. Mr. Salt-E – with 24 different flavors available in 25 and 45 mg/mL strengths, Mr. Salt-E is a great, affordable option for vapers who want to get their first taste of nicotine salt vape juices. 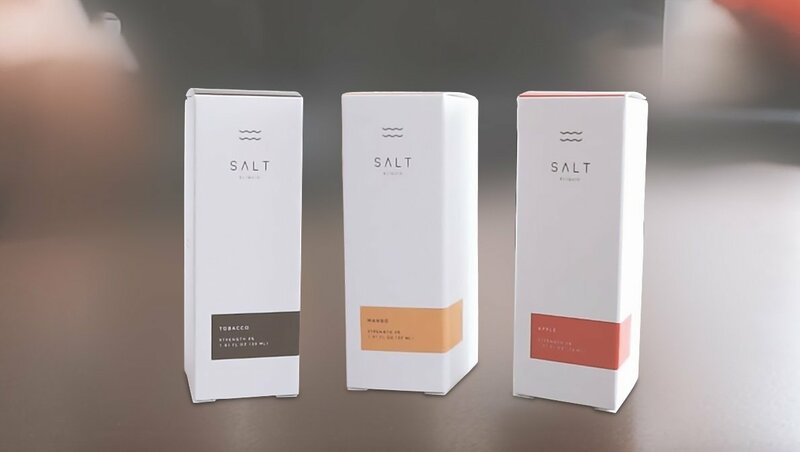 Salt Nix – this Canada-based specialist mixer offers 8 distinct vape juice flavors, ranging from tobaccos to fruits, and are all available in 2 two different strengths: 20 and 40 mg/mL. Liquid Nicotine Wholesalers – if you’re more of a DIY person, Liquid Nicotine Wholesalers stock unflavored nicotine salts in strengths from 1 to 100 mg/mL. Are Nicotine Salts Here to Stay? One thing is for certain, nic salts are definitely covering a market gap right now, mostly targeting beginner vapers who are looking to rid themselves of analog cigarettes. Will they completely push out regular vape juice? Not likely, as cloud-chasing is still a favorite sport for vapers, and that’s not something that you can safely do with nicotine salts. They will certainly grab their share of the market, however, and we predict that a lot more manufacturers will start offering them in 2019. What is your experience with nic salt vape juices? Did you try any and do you have a favorite? Drop down to the comments section and leave a note – we’d love to hear from you. Is it bad that i stopped smoking for 3 weeks like literally no smoke at all then started vaping nic salt? My best friend gifted me with a smok novo for my birthday in October. I went back and forth smoking about 3 cigarettes a day and vaping nik salts, (30mg). I’m proud to say that I have not had a cigarette in 4 weeks. I have absolutely no inclination to light one up. My sense of smell and taste have returned. The first 2 weeks I did feel a bit funny… anxiety and some depression. I attribute this to a lower amount of nicotine as well as all those nasty chemicals I’ve been inhaling for years. Word of advice… I mistakenly started at 50mg nik salt. I passed out due to the high strength. Thank goodness I was not alone or driving when this happened. If you are a pack a day cigarette smoker, 30 should be a great starting place. I am so grateful to April, my best friend for not only a birthday present. She also gave me the most wonderful “out” to stop cigarettes for good. The patch was not an option for me. I’m allergic to latex and it actually burned a circle onto my skin. My new experience with the vape pods and nik salts has given me a brand new lease on life. I am no longer a slave to Marlboro Lights and do not plan to ever be one again. I just started using nic salt juice with a pod system about a month ago. I’ve been vaping for 10 years & I’ve always used ego type batteries and clearomizers(not one to go for mods/rebuilds/cloud chasing). I really like how discreet the pod systems are and that I can sneak a quick two puffs at work and be satisfied. I found a tasty nic salt tobacco flavor and have been using almost exclusively every day. It was a great new experience. I’ve been vaping for just over a year and it’s took a lot of self strength not to go back to rolling tobacco. I’m using a sub ohm tank at 10.5 mg and my craving has gone. I’ve had to use 4 6mg 10ml bottles and 2 20mg bottles of juice from the same brand and mixed them in a 60ml bottle . That brought the nic to 10.6 mg .
For over 30+ years I have been a cigarette smoker, 6 weeks ago I gave nic salt a try and rarely have the urge to smoke a cigarette. I am a firm believer and living proof that nic salts work to stop smoking cigarettes. Also, may I add, that I feel better without the tobacco and tar AND I am saving sooo much money!! How many puffs per cig of ecig do you take? Im a fairly heavy smoker and have completely replaced my rolling tobacco for a salt nic vape. Have so far not felt the urge to have a cig. Wondering how it can be that powerful? I have been 10 years a smoker and tried everything tp quit. Currently on 20mg in UK not sure if that’s different. Hoping to quit completely!!! Yes nic salt.20$ for minifit,20$ for 30ml country clouds liquid. have not “wanted” a cig in three weeks and have only vaped half the liquid. Definitely worth trying. I started using nicotine salts a couple months ago. So far, so good. I used to use e-cigs (mostly vape pens), but switched to nicotine gum because it was too expensive, and I had a mod start sparking in my pocket. I had gone back to smoking cigarettes for a while, like a pack per week. Decided to give the sourin drop a try. 50mg is way too much for me but I like the 25mg varieties. I’ve noticed a bit more coughing but less than with a vape pen or mod. Worth trying for sure. actually since i used to vape i wasn’t convinced 100% of those clouds witch cost a 100$ monthly and even doesn’t give me the nicotine feeling that i need..